Jademayhead has nominated me for the Liebester Award. I want to give Jade a massive thank you for taking the time and nominating me! I also want to say sorry for being late with this post but I promise I didn’t forget about you or this post. I hope that everyone reading this post goes on over to Jademayhead’s blog to check out her posts. 1.What is your favourite guilty pleasure? F.R.I.E.N.D.S. I love this show. I can’t do laundry or tidy up the house if this show isn’t on. 2. What is your go-to hairstyle? 3. Do you have any bad habits – If so what are they? 4. What’s your favourite thing to do to pass time? Face timing with family and friends. 6. What is your main blogging goal? I do it as a hobby so nothing really goal oriented. I Just want to share my views or knowledge on the internet. 7. If you could see anyone live who would it be? 8. Would you rather never watch anything again, or never read anything again? Oh now this is a tough one. I think I am a movie buff and I watch lot of Netflix and youtube so there you go . 9. What is your favourite childhood memory? Now, I would really enjoy writing this answer! When I was a kid My father was very fond of taking my photos so I have plenty of my childhood pics to cherish.. Thanx to my mom and dad. 10. What is your 5 favourite features about yourself? I like the lone dimple underneath my cartoonish smile. 11. What is your Instagram, Twitter and Snapchat names? Instagram – makeupandmeena. And I dnt have a twitter or snapchat that’s crazy but yeah! 1. Is there something for what you’d give up everything? 2. What is the best dish that you can make? 3. If you’re at a friend’s for dinner & don’t like the meal, do you still eat it? 4. If you could trade lives with anyone for a day, who would it be and why? 6. If you had a choice of love or fame, which would you honestly choose? 9. If given a chance then which Disney character would you like to be and why? 10. What is your favourite colour and why? 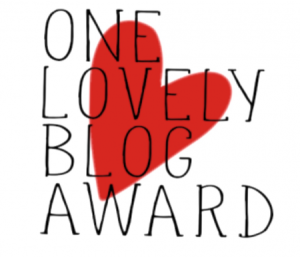 You all are my favourite and I enjoy reading your work.I want to nominate everyone here ,but it’s not possible 😢.There are many bloggers whose work I haven’t read yet, but very soon I will read it😊. Thank you so much for nominating me.I was travelling so could not check on blog . Congratulations! 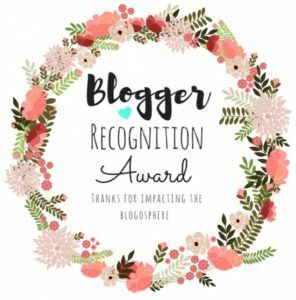 I’ve also nominated you for a blogger award! Blessings!